Helloooo Friends! I'm back with another installment of the Delicate Series, with a sparkly, glittery, layered number! 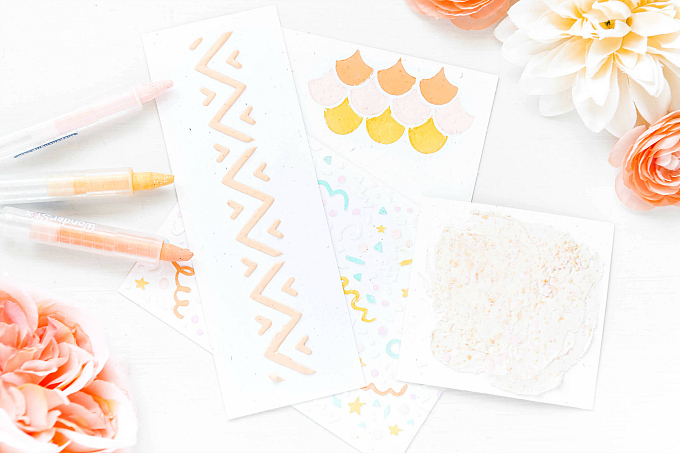 To start this girly card, I used a soft pink paper as my base. I then added a white cardstock, stamped with blue scribbles at the top, using PTI's Blueberry Sky ink and a retired PTI stamp set (Southwestern Style). 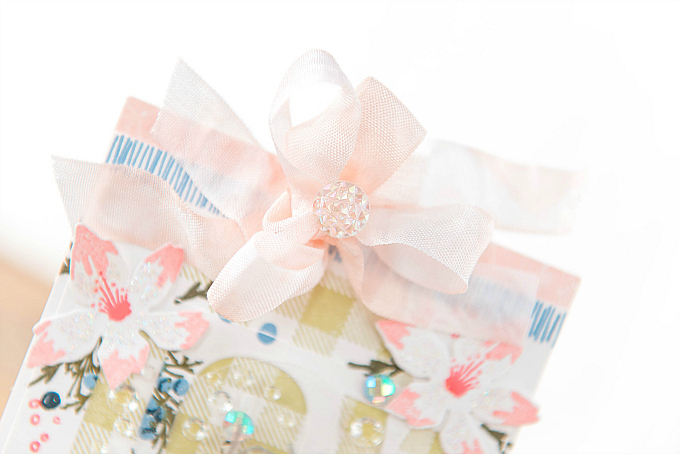 At the top of the card, I added a sweet bow, along with a crystal button. There is a lot going on here in the center, but I'll break down the steps ;P First up, I used a circle stencil to mask out the base and leave a circle opening, where I used PTI's Gingham stamp to add a subtle pattern in Spring Moss ink. I then added my negative die-cut strip, cut with Altenew's Caps Bold alpha dies, and stamped it with PTI's Winter Berries stamp. This was a left-over from this card. 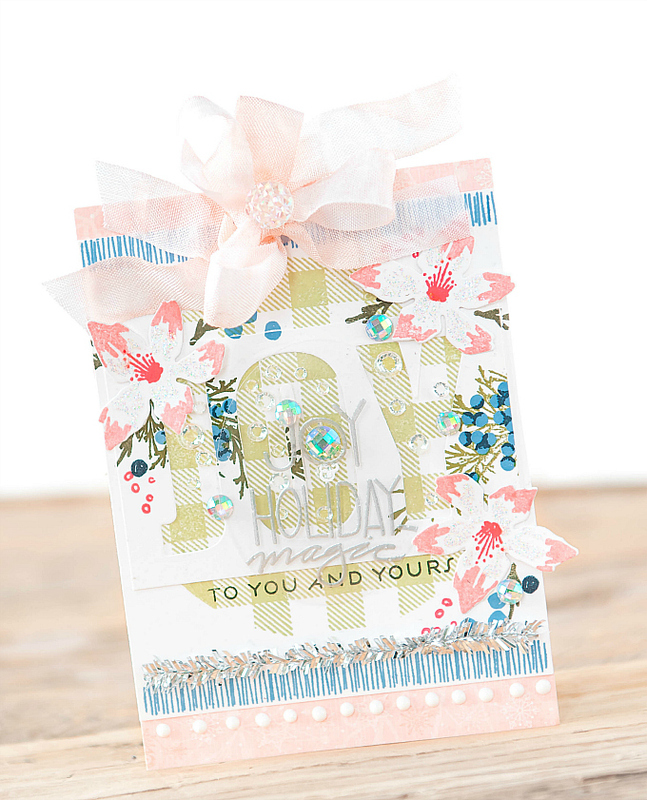 I then added the sweetest little flowers using Concord and 9th Blooms Fill-Ins stamps and dies, in colors of Pale Peony and Berry Sorbet. I also stamped a few little sprays around the flowers. At the bottom, I added another scribble stamp, some shimmery bottle brush trim, and a good splash of glitter, Clear Crystal Jewels by PPP, rhinestones and the rest of my sentiment. I also added a clear left-over tag from this post, embossed in silver and white. I absolutely loved making this card and I feel like it's still very festive, even though the colors are rather non-traditional. What do you think? 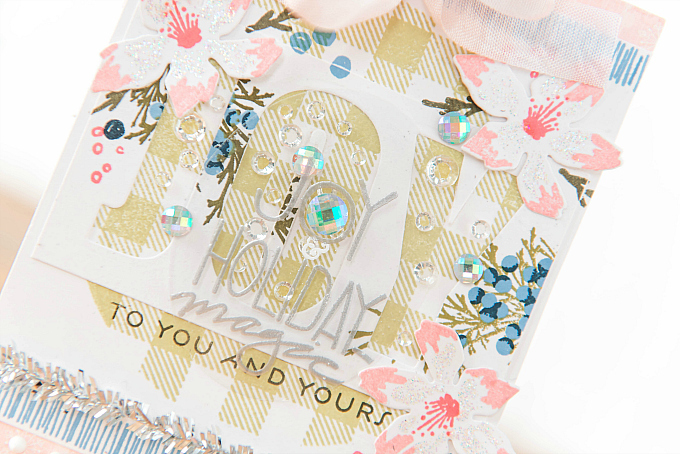 Do you like to make your Holiday cards non-traditional? If you've never done so, why not give it a try! This has a soft feminine feel to it, it's just lovely! What a delicate card!! 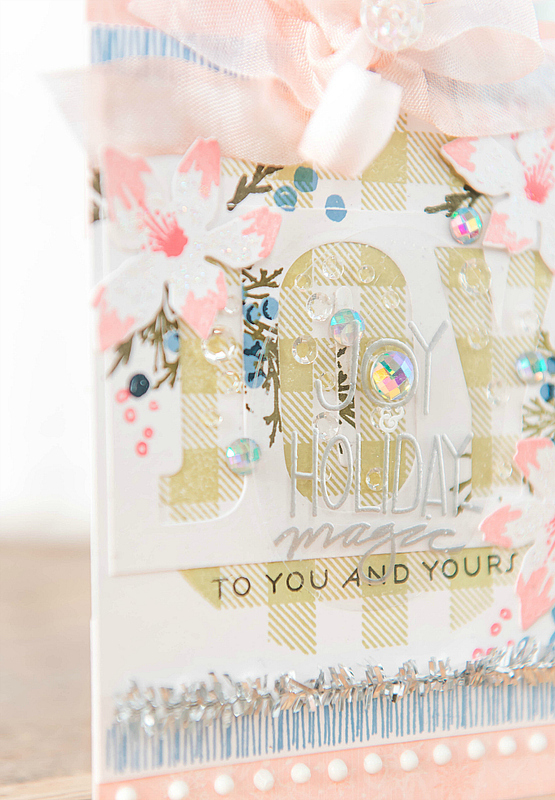 I love your repeated use of the word joy and the pretty bling you sprinkled over the card. Such a beautiful card. 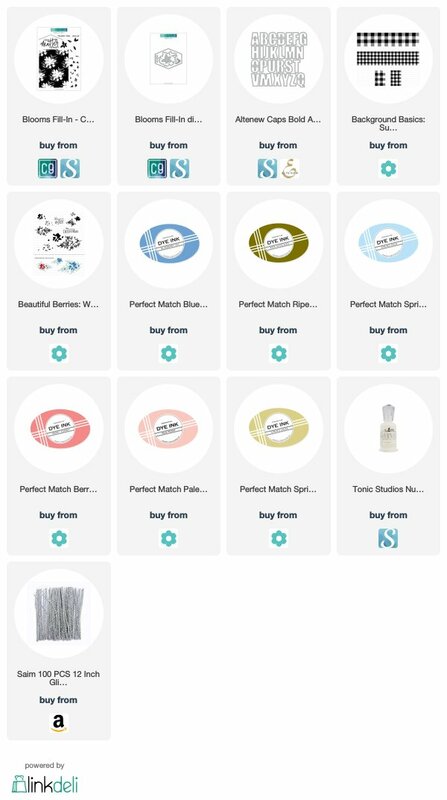 I admire how you put so many elements together, Ivana--not one of my skills, to say the least! Beautiful & definitely festive!